Raja Saheb of Mahmudabad, Shri M A Mohammad Khan Saheb was born in Mahmudabad in 1943, and educated in Iraq, Lucknow and England. In Iraq he was at the Madrasa-e-Iranian, Karbala, in India at La Martiniere College, Lucknow, and in England at Aldenham School, Elstree, Herts, England. Raja Saheb did the Mathematical Tripos from the University of Cambridge and the D.I.C. in Mathematical Physics from Imperial College, London. His dissertation for this was “Magnetohydrodynamic Waves and Micropulsations in the Earth’s Magnetosphere’. Raja Saheb worked for a doctorate at the Institute of Astronomy at Cambridge from 1970 to 1973 in Astrophysics. The topic of his research was “Non-Adiabatic Non-radial Stellar Oscillations with a Magnetic Field”. This research was concerned with the theory of stellar oscillation and stellar structure and in particular was a study of the convection zone in stars with special reference to the Sun. Research in this field later came to be known as stellar seismology or heliosiesmology. He was elected a Fellow of the Royal Astronomical Society, (London) in 1971 and a life Member of the Astronomical Society of India. He was engaged in research at the Institute of Astronomy at the University of Cambridge and has also taught at the undergraduate level for several Colleges at Cambridge. Raja Saheb has worked as an Astrophysicist at the International Centre for Theoretical Physics in Trieste which is a part of the International Atomic Energy Agency of the United Nations. He is also a member of the Mathematical Association of America association of America and of the American Association of Physics Teachers. When his father died, he remained mostly in India as he was the only son of his father and had to assume the responsibility of many of the Charitable and Public Waqfs founded by hisparents and forebears. Raja Saheb was elected the Vice-President of the Shia Degree College in Lucknow in 1984 and continues to serve it as such. This is an educational institution which was founded in 1921. The name may be misleading but the institution is completely secular, both in the composition of its staff and its students, as well as the education that it provides. It is the largest College affiliated to Lucknow University and has strength of about 7000 students, most of whom are non-Muslims. He is also the President of TauheedulMuslimeen Trust, Lucknow, which funds and runs the Unity Degree College, Husainabad, Lucknow, which has been founded recently to provide good education to the economically challenged students of all communities in the English medium. Raja Saheb is also the Chairman & Executive Trustee of Madrasat-ul-Waizeen, Subhash Marg, Lucknow and six other public, charitable and religious Waqfs of Mahmudabad. He is a Fellow of the Royal Jordanian Majlis-e-Aal-ul-Bayt, Amman, Jordan. He is the President of the Board of Trustees of The Sitapur Eye Hospital Trust, Sitapur. 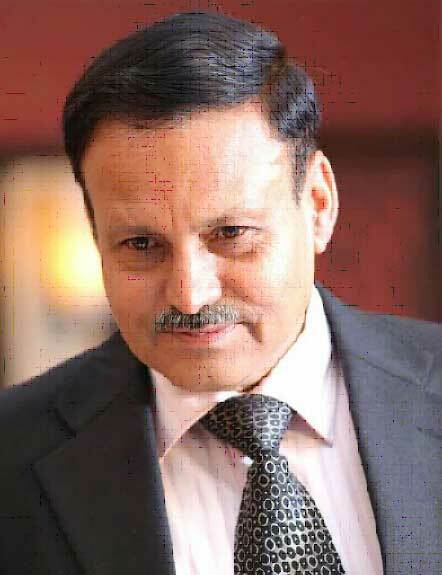 He was made the Chancellor of the Jehangirabad Institute of Technology, DistBarabanki, in 2006. 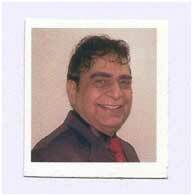 Raja Saheb was elected as the Vice-President of the Anjuman-e-Hind (British India Association) in February 2001. This is the association of the Taluqdars of Oudh. In 1985, Raja Saheb was nominated as the Congress candidate for the Elections to the Legislative Assembly of Uttar Pradesh from Mahmudabad and won by an unprecedented majority of nearly 45,000 votes. He was again nominated by the Congress Party as the candidate from Mahmudabad during the General Elections of 1989 and again won with a large majority. In 1991 he was again nominated as the Party candidate in the General Elections although he had written to Mr.Rajiv Gandhi of his inability to stand in view of the rapid criminalization and communalization of the political process and the proliferation of corruption. He declined to stand and have continued his opposition to the power of criminals and money in the subversion of the democratic and political process, especially in U.P., as well as to the communalization of politics and society and degeneration of all moral values. He was nominated a member of the Advisory Board on Minorities to the President of the All India Congress Committee (I) in 1999. “The expertise, vision, dedication and social concern of Dr. M.P. Mehray and his sincerity is reflected in the success of his mission from the moment the hospital was founded to the present time. I feel honoured that my father and uncle served as Trustees of the hospital since its inception and I now have the privilege of being a Trustee of the hospital. Today the hospital stands as an Institution to help and serve the economically and socially challenged people of India as well as an Institution which is also becoming more and more financially secure and sound through providing services even to those people who can afford treatment. The happy balance between service and financial viability is a tribute to all the Trustees. Smt. Annu Tandon was born in 1957 in Unnao and did her schooling from St Mary's Convent, Nainital followed by a Class XII from the Government Girls' Intermediate College in Unnao. She is a science graduate from Dayanand Subhash National Degree College, also based in Unnao. She is the founder and Chairperson of the Shri Hriday Narain Dhawan Charitable Trust (HNDCT), which has served marginalised sections of society in Unnao, Uttar Pradesh and adjoining areas for over 20 years. Smt. 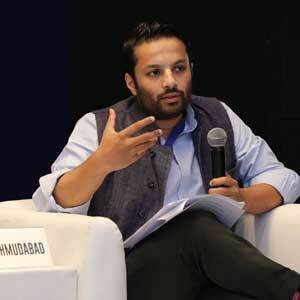 Tandon is also a Trustee of The Observer Research Foundation, a non-government Public Policy Think Tank. Post enjoying a successful career, spanning over 25 years, in diverse business enterprises, including IT, media and garment export, Annu Tandon decided to go ahead with her father's lifelong philanthropic dream to serve the poor and started the Charitable Trust with the special objective of uplifting and empowering women and the rural poor. Apart from her social and charitable activities, Smt. 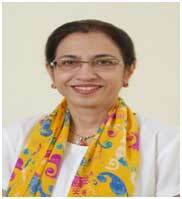 Annu Tandon is a former Member of Parliament of the 15th Lok Sabha from India's largest constituency Unnao. As a Member of Parliament she had represented India in an official capacity at various domestic and international forums, including the United Nations and other multilateral institutions. Today, as an Original Trustee of The Sitapur Eye Hospital Trust and Secretary of the Governing Body of the Society registered under The Societies Registration Act, 1860. Smt. Tandon is actively involved in the activities of the Sitapur Eye Hospital. A graduate and post graduate of KGMC Lucknow and Fellow of Sankara Nethralaya Chennai(Anterior Segment), have worked in Armed Forces for 25 years in capacity of clinician, teacher and researcher. Sitapur Eye Hospital, the backbone of eye care in UP and Uttarakhnd went a real downhill course in the early years of 21 century - was reduced to a rural dispensary and needed a dynamic leadership for it’s transformation to again a tertiary eye care system for poor and needy rural masses of UP who were not served by existing systems in state. 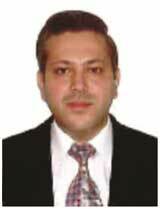 After taking voluntary retirement from Armed forces Medical College Pune, joined Regional Institute of Ophthalmology Eye Hospital Sitapur as Director and Chief Medical Officer in 2009 and started working with utmost efficiency zeal and enthusiasm to revive the dinosaur of Eye care. During Army carrier served at prestigious institutions like Army Hospital (Research and Referral) at Delhi and Professor of Ophthalmology at Armed Force Medical College ant that was the final Army destination. After joining Eye Hospital Sitapur transformed this sick unit to a vibrant eye hospital with large community volume and subspecialties. A recognized post graduate teacher and Examiner of Delhi, Pune, CSJM Kanpur, KGMU Lucknow and Maharashtra University of Health A versatile and accomplished anterior segment surgeon can perform high volume phaco-emulsification, cornea transplant trabeculectomy, Ahmed Glaucoma Valve (AGV), squint correction, paediatric cataract & glaucoma surgery and oculo-plastic procedures with equal alacrity. Performing cornea transplant and Anterior Segment reconstructions for past 30 years but Special area of interest is glaucoma esp the newer diagnostics, AGV and lasers. Have presented research papers, videos and posters at American Academy of Ophthalmology, Asia ARVO and All India Ophthalmology Society Conferences (AIOS). Conducted Instruction Courses at Annual conference of AIOS & SAARC Ophthalmology Society Conferences. Live Surgical work shop of Ahmed Glaucoma Valve. Have been involved in community service since joining ophthalmology in 1979 and have been doing camps in all the states of India and Nepal for which Acoin has awarded Dr Sushila Memorial award in 2010 and General Officer Commanding Souuthern Army commended in 2009. Recieved All India achievers foundation award In march 13 for excellence in health care. Vision 2020 has awarded for equitable eye care award esp for women and children. - Guided and mentored 1000 para commando in the unit and lead them to the Kargil War and life threatening operations in Kashmir with Theatre honour for the best unit. -Streamlined various process such as – security process of the Indian High Commission at Sri Lanka at the height of militancy from 1987 to 90 smooth functioning of a town ship at Jammu Cantt and made standard operating procedure for smooth and uninterrupted functioning of defence imagery and photo analysis centre. -Worked as Instructor at Officers Training Academy , trained and groomed cadets into fine young officers at infantry school Mhow at The weapons wing for three years. -Single handedly extricated five civilians stranded in Munnawar Tawi River near Jammu by MI-17 Chopper using winch under adverse weather conditions. -A member of the trail team for the introduction of night vision and .50 Heavy machine Gun in the Indian Army. -Won the 1200 km Desert Rally in 1992 in the Thar Desert on a 4x4 Jonga class vehicle. -Recipient of Bronze Medal at the National Shooting Championship in 1985 at Kolhapur . - Awarded Academy Blues in Cross-country Boxing,Riding & Polo & Athletics from Indian Military Academy ¼IMA½. -Proved gallantry through negotiation with top rung of insurgent leaders to hostage rescue to assisting civil administration in revoking law and order in disturbed areas of Jaffna Peninsula, Sri Lanka and Kupwara Sector, Srinagar Valley. 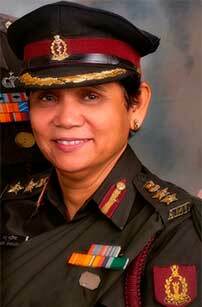 - Excellent management of insurgency operations in Kashmir Valley and Kargil War. -Gained experience in the operation of Navy –Aircraft Carriers, Frigates, Antisubmarine ships and Foxtrot class submarines and Air Force- C-119 Fairchild packet AN 12,AN 32, II-76 MI 4, MI 8, MI 17 Attack Helicopters ¼MI 25½, Chetak /Cheetah etc. - Trained Special Marine Forces of Indian Navy in desert and mountain warfare. -Designed and planned the training & administration of induction of first batch of lady cadets ¼women officers½ in Indian Army. -Battalion During his command as received theatre honour ¼best fighting unit in Kargil½ chief of army staff’s commendation card and army commander’s commendation card during my command. -Recognition received twice in dispatches and recipient of army commanders commendation card for operations in Sri Lanka and Kargil. -Stood first in desert car rally in Rajasthan and bronze medal at national shooting completion at Kolhapur. -Recognition received thrice for Gallantry, in face of enemy, twice during Indian mission in Sri Lanka and once Kashmir Valley in 1987, 89, 99 respectively. -Excellent management of evacuation cell of Indian High Commission during Operation Pawan in Colombo. -Organized disarmament and undertaken steps for re-habilitation of Tamil Militants in Sri Lanka from 1987- 1990 and fought Kashmir Militants from 1994-99. 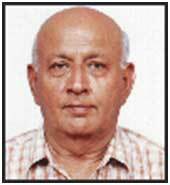 Dr. R. K. Tandon was born in the year 1948. Dr. R.K. Tandon has an M.B.B.S., M.D. (Med), D.Sc.(Ac. ), D. Ac., M.I.C.A., &F.I.A.C.M. He is a Consultant Physician since 1974. Ex. Indian Medical Association President, Sitapur branch, Ex. Vice President U.P. I.M.A. Awarded by Jaycees, Rotary Lions and many institutions for services to needy and poor. He was awarded by Sitapur S.P. for contribution to society in serving humanity and was awarded “Sitapur Ratna” - Naimish foundation by D.M. Sitapur. Dr. Tandon is attached to various organizations for helping society for up gradation of poor and senior citizens. As a Co-opted Trustee, Dr. Tandon has been instrumental for getting much needed cornea donations to Eye Hospital. Dr. Khan was born in 1982. Dr. Khan studied in India, England, Syria and America and also worked as an Assistant Professor for History and Political Science at Ashoka Universityand lectured on Nationalism, Revolutions and Non-Western Political Thought. Dr. Khan writes a column in Urdu for the national daily Inqilab and has been writing columns and editorials for various English newspapers and magazines for a number of years. He also spends time lecturing in schools, colleges and universities as well as advising policy think-tanks on a wide-range of subjects including political, religious and security related issues in South Asia as well as greater West Asia (the Middle East). Dr. Khan speaks and conducts research in a number of languages (Hindi, Urdu, English, Awadhi, Persian, Arabic, French) and has appeared regularly on television programs and radio shows. His family has been closely associated with The Sitapur Eye Hospital Trust for over three generations and as a co-opted Trustee, Dr. Khan keenly contributes towards the planning of the future growth of the Hospital and its services. Raja Divyakar Pratap Singh of Kasmanda was born in 1950. 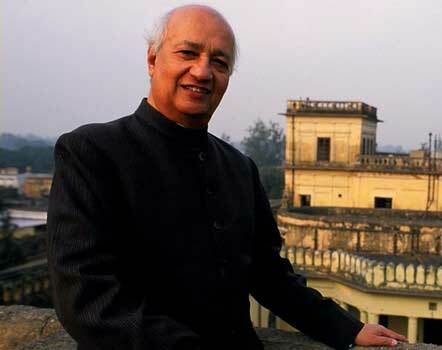 He studied at Doon School, Dehradun and graduated from Canning College, Lucknow. His family connection with the Sitapur Eye Hospital spans many generations - his great-grandfather Raja Bahadur Dr Suraj Baksh Singh was one of the Original Trustees of The Sitapur Eye Hospital and remainedon the committee till 1948. After him, Raja Dinesh Pratap Singh (ex - MP), the father of Raja Divyakar Pratap Singh joined the Committee and was a member of the Committee till 2012. Raja Diviyakar Pratap Singh is today an Original Trustee of The Sitapur Eye Hospital Trust. Raja Divyakar Pratap Singh was a member of the trap shooting team of Sitapur which won the Silver medal at the U.P. Shooting Championship in Lucknow in 1973. He is currently a member of the Advisory Committee of the U.P. State Shooting Association. Following in the footsteps of his forefathers, he manages the Raja Bahadur Suraj Baksh Singh Inter College (Kamlapur, Sitapur) and is also the President of the Sri Radha Krishna Mandir Trust (Kamlapur, Sitapur). Shri Sanjeev Mehrotra was born in the year 1960. He did his schooling from Colvin Taluqedars’ College, Lucknow and graduation from Kanpur University. He is in Refrigeration Business from more than 3 decades. His father Shri Kamal Kishor Mehrotra was an Original Trustee of The Sitapur Eye Hospital Trust till the year 2009 and was also the Chairman of The Sitapur Municipal Board. His family was associated with the founder of The Sitapur Eye Hospital Trust, Dr. M. P. Mehrey. Today as an Original Trustee, Shri Sanjeev Mehrotra is active in supporting the under privileged for their cataract operations through donations from time to time. Apart from the Eye Hospital Shri Mehrotra is managing Gauri Bal Vidya Mandir, School and Gopi Rani Mehrey Girls Inter college, Sitapur. He has ensured affiliation for High School and Intermediate thereby enhancing the quality of education for the under privileged children. Shri Sanjeev Mehrotra was awarded by the Governor of Uttar Pradesh in 2016 for his contribution to society through Social Work and also received the President's Gold medal from the President of India on 30th August 2016 for outstanding social work done through the Indian Red Cross Society. He is in various organizations relating to service to society in Sitapur. Shalin Narain Tandon was born in Mumbai in 1978. He did his schooling initially in Mumbai followed by Sherwood College, Nainital & St. Columba’s in New Delhi. After his 12th from K.C College in Mumbai,Shri. Tandon pursued a Bachelor’s degree in Electrical Engineering from Purdue University, USA and a Master’s degree in Wireless and Satellite Systems from the University of Bath, UK. He is also an alumni of the Asian International Executive Program from the Singapore campus of INSEAD. Shri. Tandon is a senior corporate executive with almost two decades of experience. He is primarily associated as a consultant with one of the largest companies in India, Reliance Industries Ltd in the capacity of Vice President in the Chairman’s Office. His responsibilities include projects in real-estate, infrastructure and corporate affairs. Earlier, Shri. Tandon has been instrumental in the Reliance group’s telecommunication and life sciences businesses too. In the past Shri. Shalin Tandon has been on the board of Purica Foods Pvt. Ltd., which was a socially responsible business in the dairy foods and beverages industry. Prior to Reliance Industries, Shri.Tandon worked as an engineer with Bechtel in London, one of the largest engineering and construction firms in the world, where he worked on projects across the world, including on site experience in Africa. An avid traveller, Shri.Shalin Tandon has been the Honorary Consultant for the Republic of Maldives since 2011. During his tenure, he has continued to push for investment and tourism in the Maldives and for greater trade and diplomatic relations between India and the Maldives. Shri.Shalin Tandon has personally contributed in various ways for the poor and marginalized through a Charitable Trust run by his mother and has a special inclination towards philanthropy. Today as an Original Trustee in The Sitapur Eye Hospital Trust, Shri. Tandon has taken upon himself the responsibility to enable larger donations to help the Hospital to be able to give more service to the marginalized and poor through better and more modern technologies available in the world. Shri Pradeep Mehrotra was born in 1952 in Sitapur. He runs his own business in Sitapur. His family's association with Sitapur Eye Hospital goes back to three generations. His grandfather, Shri B.N. Mehrotra was a close associate of Dr. M.P. Mehray, the Founder, and was involved in raising the initial seed money for the hospital. His father, Shri A.N. Mehrotra was a crusader of various social and community campaigns of the eye hospital. He also helped in shaping some of the key policies of the Eye hospital. Shri Pradeep Mehrotra in the capacity as an Original Trustee, also actively workstowardshelping to formulate the annual objectives and strategic plans that will strengthen and fulfill the vision and aims of the Sitapur Eye Hospital Trust.